When you start small, with an office in your garage, you won't be surely able to pay a huge server with a lot of processing and storage capacity for a project that barely produces to pay its hosting and some money as earnings. A lot of people like me start from the ground and as the projects grows, you know that VPS aren't a good choice for some technical reasons. With a dedicated server, your resources are not shared. When you choose a dedicated hosting provider, you get the full resources of a single server, all for your projects, no one else. One of the most desired things when you buy a dedicated server for example, is the right to have a single IP address for you, it won't be shared with other people as well. As you know, with a VPS the IP address will be likely shared with multiple VPS and if it hosts for example, adult websites and you have a decent blog, your rank will be injured cause of the IP. 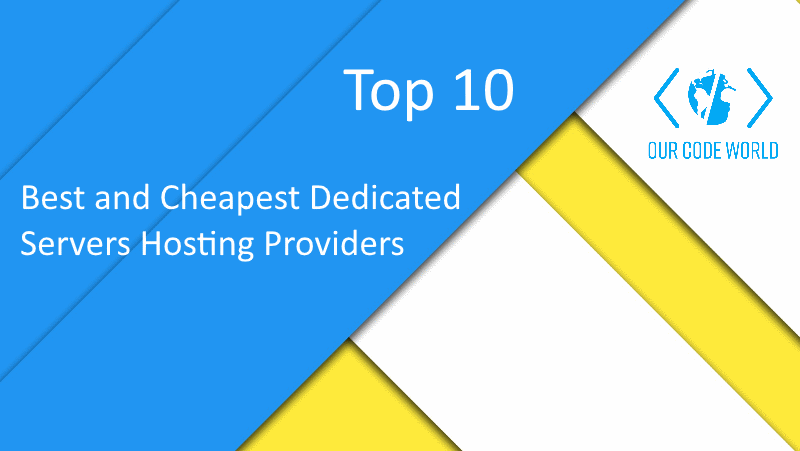 The are other reasons as well and advantages of using a dedicated server, however a dedicated server is obviously more expensive than a VPS, so if you are looking for a new provider that offers a decent server with good resources and an affordable price, we'll share with you in this top 10 providers that you may like to check before taking a desicion on which hosting provider you should choose for your new dedicated server. We know that there are other providers that offer even dedicated servers for less than $10, however they are low end machines. As a developer, i took in mind that you need to pay a little bit more for something decent that can host a single high traffic website or multiple websites with low to medium traffic. You will find in this top servers that offer at least 2Ghz in processing and at least 8 GB of RAM (something pretty decent, enjoy). It's worth to say as well that we won't list recognized enterprises just for the price, here you will find very reliable companies that are willing to be your server provider at a very low cost. Veesp cheapest server is the MEDIUM 32 (Intel Xeon based). Dedicated servers are the right choice when there is a consistent demand on high performance and reliability. If you have heavy I/O requirements 24 hours a day or it is necessary to run lengthy database queries as efficiently as possible, dedicated servers are the best option. That's why Veesp allows you to rent a dedicated server and get a wide range of additional services based on the reliable data center infrastructure of the Veesp hosting provider. Their service of Preconfigured Servers with Instant Activation offers a very cheap and reliable server with a free setup. 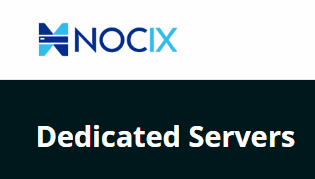 Nocix offers servers in their datacenter's in a controlled environment, with the power, security and bandwidth that you'll need to run your unmanaged dedicated server safely. They maintain everything from the datacenter's environment to the servers, labor and materials, so that you can focus on what you do best: your business. All servers are located in their Kansas City, Missouri, USA datacenter location. Once your server is online, the 24-hour on site staff strive to respond to any hardware support tickets you may have within 10 minutes. Choose your OS, Ubuntu, Fedora, Debian or CentOS and get started with your projects !